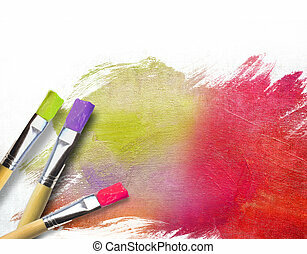 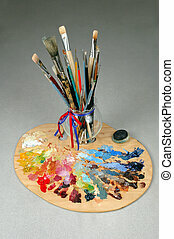 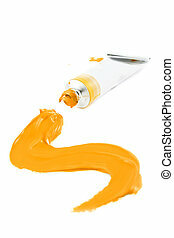 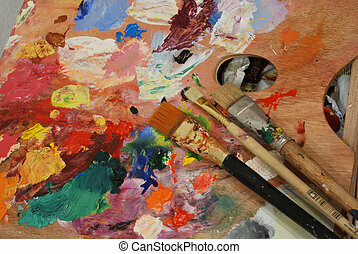 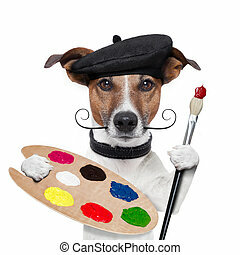 Artist paint palette with paints and brushes, symbolic of art. 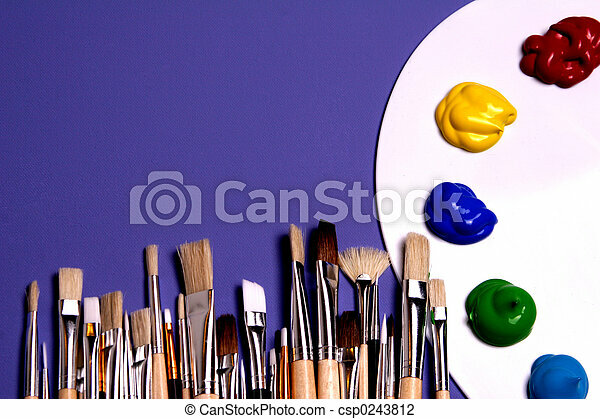 Painters white pallette and paints with painters brushes. 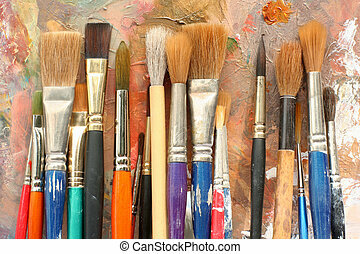 signs and symbols of art. 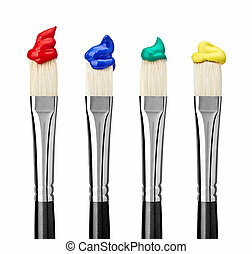 Painters white pallette and paints with painters brushes. 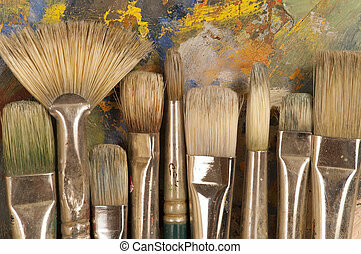 Signs and symbols of art. 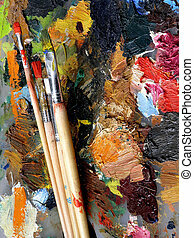 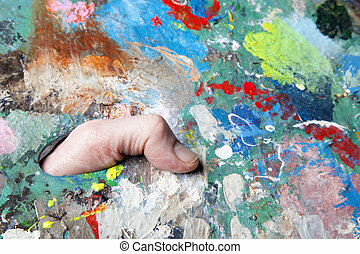 Artist\\\'s Brushes with palette in the foreground. 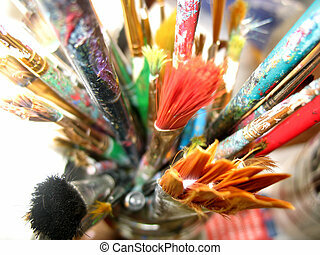 Colourful well used artist brushes in a glass jar. 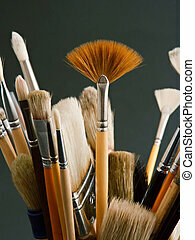 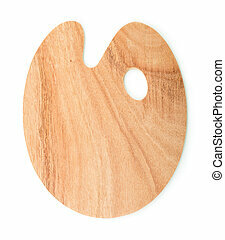 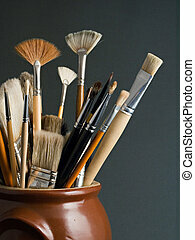 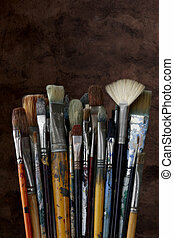 Close up of artist\'s brushes on an painting pallet.